Overall (confirmed (wt. on pallet)): 48 3/4 × 31 1/8 × 25 3/8 in., 914 lb. 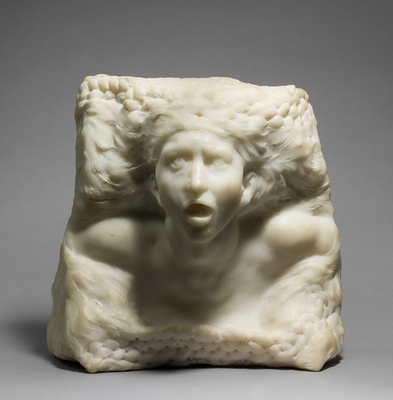 On the centenary of the death of AUGUSTE RODIN (1840–1917), The Metropolitan Museum of Art celebrates its historic collection of the artist’s work in Rodin at The Met,. 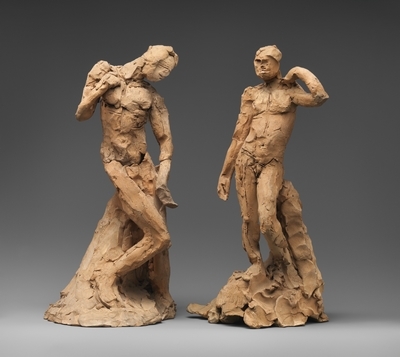 Nearly 50 marbles, bronzes, plasters, and terracottas by Auguste Rodin, representing more than a century of acquisitions and gifts to the Museum, is displayed in the newly installed and refurbished B. Gerald Cantor Sculpture Gallery (Gallery 800). The exhibition features iconic sculptures such as The Thinker and The Hand of God, as well as masterpieces such as The Tempest that have not been on view in decades. 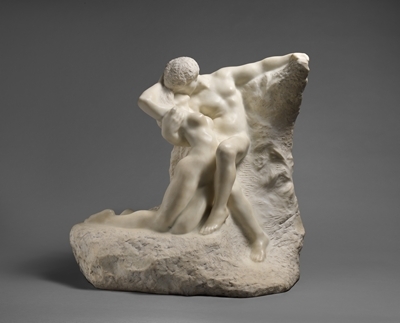 Paintings from The Met’s collection by some of Auguste Rodin’s most admired contemporaries, including his friends Claude Monet (1840–1926) and Pierre Puvis de Chavannes (1824–1898), are presented in dialogue with the sculptures on display. Overall (confirmed): 13 5/8 x 14 7/8 x 7 3/4 in., 73lb. The extraordinary range of The Met’s holdings of Auguste Rodin’s work is highlighted in an adjacent gallery (Gallery 809) with a selection of drawings, prints, letters, and illustrated books, as well as photographs of the master sculptor and his art. 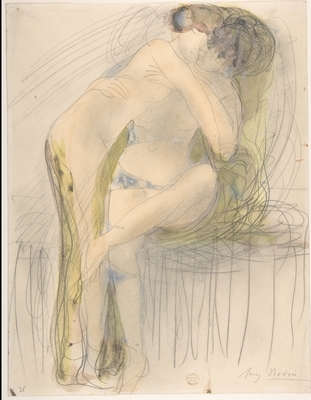 This focused presentation introduces visitors to the evolution of Rodin’s draftsmanship and demonstrate the essential role of drawing in his practice. It will also address Rodin’s engagement with photographers, especially Edward Steichen (1879-1973), who served as a key intermediary in bringing Auguste Rodin’s drawings to New York. Rodin at The Met begins a new chapter in the Museum’s long-standing engagement with Auguste Rodin. In 1912, The Met opened a gallery dedicated to Auguste Rodin’s sculptures and drawings—the first at the Museum devoted exclusively to the work of a living artist. Displayed in that gallery were almost 30 sculptures and, within a year, 14 drawings. During the late 20th century, the historic core of The Met’s Auguste Rodin collection was further enhanced by Iris and B. Gerald Cantor and their Foundation’s gifts of more than 30 sculptures, many of them from editions authorized by the artist and cast posthumously. 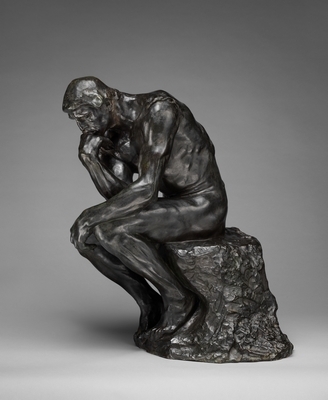 Today, The Met’s holdings of Auguste Rodin’s art are among the largest and most distinguished in the United States. Overall (wt. confirmed): 28×29×18 in., 433 lb. 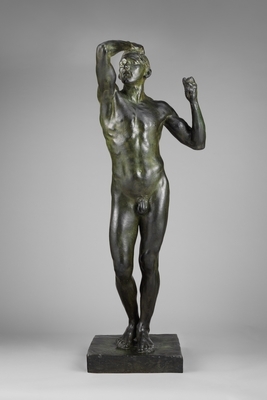 Rodin at The Met is organized by Denise Allen, Curator in The Met’s Department of European Sculpture and Decorative Arts; Ashley Dunn, Assistant Curator in the Department of Drawings and Prints; and Alison Hokanson and Asher Ethan Miller, both Assistant Curators in the Department of European Paintings. The exhibition is made possible by the Iris & B. Gerald Cantor Foundation.